Six-newly funded Lab projects and how to streamline your data science workflows with OCCUR! Highlights from your favorite virtual Earth science tech lab. I hope this finds everyone enjoying the wild world of winter weather, whatever that may be in your neck of the woods. Lots going on around the ESIP Lab including new Incubator projects, Google Summer of Code idea gathering, Lab-funded project networking, and more. Also, check out the new section of the Lab Update where ESIP Lab Fellow Benjamin Roberts-Pierel will share, or coordinate another to share, a favorite data exploration, analysis, or visualization too. This week's tool: SnotelR! PS. In case you missed it the 2019 ESIP Winter Meeting, you can find a full recap here! If you are interested in any of these projects, please reach out to lab@esipfed.org! 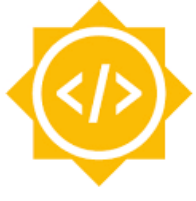 ESIP has applied to participate as a second-year mentoring organization for Google Summer of Code (GSoC). As an umbrella organization (e.g. an organization of organizations), ESIP gets to solicit project ideas from our members, i.e. anyone from an ESIP member organization can submit an idea with the potential of a student working on it over the summer. Click here for more information or check out our current list of ideas here! OCCUR is the OPeNDAP Citation Creator. OCCUR helps to streamline the workflow of data scientists by allowing users to format and store citations of data served through OPeNDAP servers. OCCUR converts OPeNDAP queries into formatted citations. It sources three blocks of information: 1. The OPeNDAP query, 2. Metadata stored in the DAS, 3. The point in time of the citation creation. OCCUR converts this data into CSL-JSON and leverages citeproc to turn the data into formatted citation snippets. 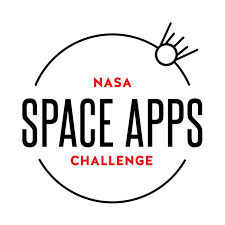 The countdown to NASA’s 2019 International Space Apps Challenge has begun! NASA is pleased to announce that Space Apps 2019 will take place on October 18-20, 2019. Now in its 8th year, Space Apps is an international hackathon for coders, scientists, designers, storytellers, makers, builders, technologists, and others in cities around the world, where teams engage with NASA’s free and open data to address real-world problems on Earth and in space. Space Apps 2018 included over 18,000 participants at more than 200 events in 75 countries. Continue to visit this website and subscribe to Space Apps’ Twitter feed (@SpaceApps) for information on the 2019 themes, categories, and more. Applications for global host locations will open in January! Learn more about how to participate here. As those who work with large datasets know, it can sometimes be beneficial to quickly and easily visualize an example of your data for a specific study area or time period without having to sit down and write any code. I have found resources like http://climateengine.org/ helpful for this kind of quick visualization in the past. As somebody focused on snow cover change in the Western United States, data from the SNOTEL network is something I use very regularly. In the ‘snotelr’ toolbox for R, Dr. Koen Hufkens (https://khufkens.com/code/) has created a tool for doing these quick visualizations of SNOTEL data in an easy to run GUI based on the R shiny package. The package allows for interactive querying of specific sites and plotting of commonly collected data such as temperature, precipitation and snow water equivalent (SWE). The code is hosted on GitHub (https://github.com/khufkens/snotelr) and I would encourage people to check it out! Keep up on all the action on Slack! If you are not already on the ESIP Slack team: here is your INVITATION. If you are on Slack, are you using the Slack App? It's a much better GUI. Grab it HERE. ESIP is funded with support from NASA, NOAA, and the USGS. 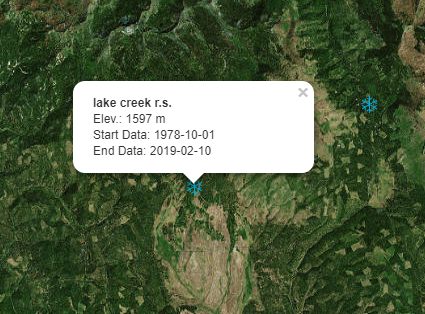 Copyright © 2019 Earth Science Information Partners, All rights reserved. You are receiving this note because you subscribed to one of the ESIP list-servs. Orcas & AI, conda-forge, OGC API Hackathon, MODIS and more. 7 ESIP/Google SOC projects approach 200 messages, deep learning & hurricane forecasts, and ESIP Summer Meeting! RFP Deadline Today, Lab-Funded Geoweaver Project wins NGA challenge, ESIP Lab Fellow!